Bug light bulbs: Are new devices effective against mosquitoes & other biting insects? Recently, new devices for mosquito control have appeared in the online stores. The first type is Yellow Bulbs. Producers call them ‘repellents” and promise that they will repel mosquitoes. The second one, Bug Zapper Bulb Mosquito Killer, lures insects into a trap with the help of special bulbs and kills them inside. Let’s see if it is true and if it amounts to a panacea or might become a new sensation. Why is it interesting and that important? First, there should be an alternative for consumers rejecting chemicals and embracing natural solutions. Secondly, these devices carry out their specific task, something that will be effective with an integrated approach. It is interesting that with the arrival of Mr. Max Azria, a renowned designer of women's clothing, common bulbs have gone from being just a useful article to being a fashion trend. Since May 2017, Mr. Azria was appointed CEO of Clean Concept LLC, a developer of ZappLight. For the record, this device combining a light bulb and bug zapper is marketed as an effective mosquito control solution. Well, since such a famous designer has taken on the project announcing his “mission of having ZappLight in every home,” there is every indication that bug zapper bulbs are a promising solution. High profile managers on the market, increasing competition, creative approaches in product design: all these benefit us, customers, in our fight against pests. Now, let’s have a look at how bug zapper bulbs work, what scientists say about bug zapper light and whether they really kill mosquitoes. We will provide insight into a functioning principle of light bulbs and dwell on whether they are effective. A review of TOP 4 products on will help you make better choices. How Do Bug Zapper Light Bulbs Work? First, we will consider the mode of operation of such devices. For the purposes of our research, we have selected two LED bulb devices addressing different issues: one of them should repel mosquitoes while the other, on the contrary, attract them with the aim of trapping and killing. Both samples have recently entered the market and at present are commercially available. Going forward, we have two things to make clear. Yellow bulbs do not attract insects — TRUE! Yellow bulbs repel mosquitoes — NOT TRUE! Are Bug Zapper Light Bulbs functioning as traps effective? YES, they are. So, let’s have a look at the way the yellow light affects insects, what scientists say, which facts and principles are scientifically proven. 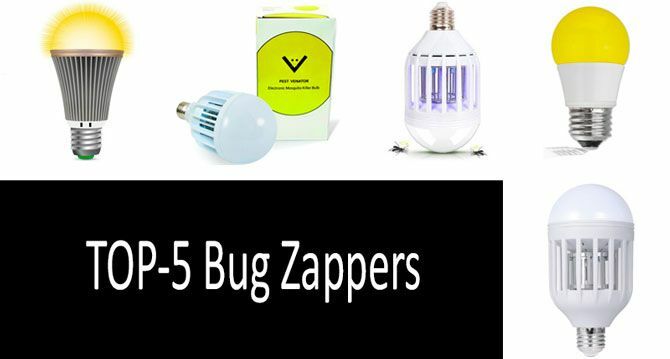 At the end, you will find a TOP 5 Bug Bulbs which really work and worth buying. The first product consists of a LED bulb emitting yellow light. A device intended for the use both indoors and outdoors with an input voltage of 120V and a power of 5W. The lamp 1.9 x 1.9 x 3.5 inches in size has quite an ample beam angle. The trick is the yellow bulb itself. Insects, like animals, can see through light perception (photoreception) which depends on light energy reflected by objects. Insect’s vision plays a crucial role as they use it for mating, feeding, detecting enemies and navigation. 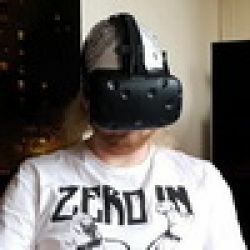 Therefore, taking into consideration the importance of an organ of vision for insects, it is safe to assume that devices exploiting insect’s photoreception have a chance of success. But why yellow? The thing is that insects perceive the light differently from the way the people do. Humans can see wavelengths from about 400 to 800 nm in the electromagnetic spectrum, namely from violet to red, whereas insects perceive wavelengths in the range between 650 and 300 nm including the ultraviolet band. This means that, unlike humans, most insects almost cannot see in yellow, orange and red portions of the spectrum. Having studies these peculiarities, scientists suggest using yellow bulbs in order to discourage insects from gathering in certain sites, such as porches. The idea is clear: no lure, fewer mosquitoes. It is noteworthy that in this regard red bulbs are much more effective than the yellow ones since insects do not see the red light. However, for most customers, this option is hardly acceptable as it does not provide enough illumination. That is why yellow bulb is the first choice because it combines two functions: keeps mosquitoes away and, at the same time, provides a sufficient illumination. Ultraviolet and infrared rays. There are devices of the other type which, on the contrary, emit ultraviolet and infrared rays to entice insect into a trap killing them. This is how bug zappers work. Our sample has a 60 W LED bulb with an output amounting to 600 lumens. The bug zapper light covers an area of 500 square feet. So why do nocturnal insects fly to the light? Actually, there is no scientific explanation so far, but it is known that insects use ultraviolet rays to navigate in darkness. Otherwise speaking, by turning on the ultraviolet light, you provide them with the space for navigation. For one thing, let’s figure out whether light bulbs are repellent. Michael Justice, a researcher from the University of North Carolina, has conducted a study with the use of all types of bulbs. The results show an advantage of LED bulbs of warm colors over other types. “From an ecological perspective, LEDs with a warm color temperature should be favored because they attract the fewest insects, their lower emission in the blue spectrum should reduce their contribution to light pollution, their directional technology allows for more precise lighting, and they have favorable energy conversions and life cycle assessments,” as it follows from a report submitted by Mr. Justice. According to scientists, yellow bulbs do not attract mosquitoes for two reasons. First, they are almost invisible to insects. Second, their high efficacy results in the reduced emission of carbon dioxide as well as other pollutants. The latter also creates an unfavorable environment for mosquitoes as a comfortable temperature for them and their eggs is about 27˚C. And yet, these features do not make LED bulbs repellents as they do not influence mosquitoes forcing them out from the area. Not at all. The role of such devices is passive, they just create an unfavorable environment for mosquitoes and in such away reduce the number of the insects on the site. As for bug zapper bulbs, they are not a panacea for pest control either. Some mosquitoes will be eliminated outdoors but it is impossible to get rid of these pests with the help of bug zappers. To achieve that goal, an integrated approach is required. However, if a bug zapper installed indoors, a chance of being bitten will likely to be brought down to a minimum. Why LED bug zappers are preferable? According to researchers from the University of Nebraska - Lincoln, traps fitted with LEDs have greater light intensity with lower energy requirement than similar traps with incandescent bulbs. How many lumens should the bulb have to be effective in mosquito control? Scientists say that when choosing a LED bulb one should look at lumens rather than wattages to figure out how well lit the space will be. The more lumens you have, the brighter the light is. By comparison with traditional incandescent bulbs, the following parallels can be drawn: a 100-watt incandescent bulb is equal to a 1100-lumen one while a 75-watt bulb produces the same amount of light as that with 750 lumens. Our sample produces 600 lumens which means it is bright enough, however, the brightest bulb produces over 1000 lumens. LED’s color. It was established that a mosquito catch also depends on the LED’s color which is an even more significant factor. The studies demonstrate that mosquitoes prefer the range of wavelength from blue to green, namely between 400 and 600 nm. With the increase in wavelength,the attractiveness of the given source of light to mosquitoes decreases. Easy to replace & safe. Another advantage is that a LED bulb can be easily replaced by another with a required number of nanometers depending on preferences of a pest you need to target. Whereas a standard incandescent white bulb emits light over a very broad spectrum, Leonard Munstermann, a senior research scientist at the Yale School of Public Health, says. Another scientist, Andrew Porterfield, indicates an advantage of enhanced safety to humans when using a bug zapper fit with LED bulbs. Notably, traps luring pests with light instead of baits do not expose humans to potential pathogens in case the captured mosquitoes are disease carriers. In addition, LED bulbs are cheaper, more difficult to break, and have a longer lifespan compared with incandescent ones. Examining customer feedback about one or another bug zapper, one would notice that sometimes opinions substantially differ. What is it about? This is due to the fact that different species do not behave in a similar way and that they are unevenly distributed throughout the area. To enhance the bug zapper effectiveness, place there a pheromone lure and put the trap on a sheet of paper covered with something sticky. As scientists claim, these measures will help to drastically increase the number of captured mosquitoes. Downsides. Nevertheless, there are some downsides. The major claim is that the device kills the bulk of insects which are not pests but rather are beneficial. The other problem is that bug zappers allegedly attract more insects than kill. However, in case of our sample, new mosquitoes are unlikely to be attracted in the area since the bug zapper light covers 500 feet or 150 meters. Such coverage will not cause pest migration from neighboring areas but rather will affect only mosquitoes already present on your plot of land. Below, we have provided insight into 5 TOP products. Three of them are bug zappers attracting insects with light bulbs so that they get trapped and killed. We have compared their advantages and disadvantages as well as described the mode of operation. The other two products are bug light bulbs intended to keep insects away. However, their descriptions and prices drastically differ. Why? Now that the famous fashion designer Mr. Max Azria has taken on the production of Zapplight bug zappers with a light bulb, the device certainly gets a big future ahead. One should realize that modern insect traps are not just useful devices but an element of the house decoration as well. Which is why the product’s design always matters. Zapplight is intended to attract and kill pests such as mosquitoes and other flying insects both indoors and outdoors but you should take into consideration that it is not waterproof. Built-in UV light tempts the pests in the trap where they are killed. The product has a 600-lumen output which makes the bulb bright enough, however, trailing bug zapper manufactured by GEEKERS. Nevertheless, the light bulb of Zapplight covers an area of 500 square feet which is a good indicator. Also, the device is bigger in size compared to the previous two products, with the dimensions amounting to 8.4 x 5.9 x 3.2 inches, which means that more pests will be captured. Zapplight rates 2.9 out of 5 stars, with over 400 customer reviews, half of which are positive. “Every week I clean it and there are 10 or so dead mosquitoes on it. I have only seen 1 or 2 in my house, so it is pretty surprising. We keep it indoors by the back door and only run it at night and it still kills those little bloodsuckers,” a satisfied customer shares his experience. «Functions pretty good until now by our back entrance. Lots of dead bugs adhered to the bars and have actually had to cleanse it once already in the 2 weeks that we have had it. Additionally observed some evaluations that say the bulb is burned out shortly after having it yet the insect light/zapper still works ... If you transform your light turn on then off once again actual quick as well as back on once again, its function that will shut off the light however leave the zapper working if you don't desire the light on. So, on-off-on, will certainly close the light bulb off and also vice versa to turn it back on. Ours works perfectly as defined!». You can use this product separately as a bug zapper and a light bulb or take advantage of these two functions simultaneously. The latter helps trap and kill by powerful electric shock much more pests than without using the light bulb. The bug zapper which is produced by GEEKERS targets mosquitoes, flies, clothes moths and other insects. It is 6.2 x 3.1 x 3.1 inches in size and can be easily installed, just plug the device into a standard socket and done! The product attracts pests by UV light produced by a LED bulb. It is really effective in luring insects as the bulb is very, very bright. With a power of 12W, it produces 1200 lumens which are equal to more than 100W in a conventional incandescent light bulb. The brighter the lamp, the more pests you catch. This is especially productive indoors so that you can divert the mosquitoes in the room from your body to the device which will eventually kill them. The bulb light beam angle is 200 degrees with a lifespan amounting to fifty thousand hours. Another advantage is in a total absence of either harmful or chemical substance which is usually placed in all kinds of traps. This makes the product environmentally friendly and safe for humans and pets. Also, the bug zapper bulb is energy-saving and will help you reduce energy consumption in the house, on the porch, in the garage or garden. Its main and quite a substantial downside is that the bug zapper is not waterproof. Therefore, although being marketed both for indoor and outdoor use, the device will fail in the open air as soon as it rains. «This mosting likely to be just one of the greatest inventions 4 locations like Virginia Coastline and the flying animals we have in right here. Screws like a regular light bulb in right into the outlet. Functions when you transform the activate both light and also a zapper comes on; when you fast turn it off as well as back on simply a zapper comes on turning off the light. It is a very ingenious established. Love it». GEEKERS bug zapper is the most popular on with 4.3 out of 5 stars in almost 650 customer reviews, most of which are positive. Apart from the advantages mentioned above, the customers indicate that the device is soundless which is important when used indoors. “I ordered these bulbs for use on patios on either side of the house. I didn’t know what to expect but these bulbs do work. It’s been about 3 weeks and these bulbs fill up about once a week. Which I clean them completely off and put them back to work,” one of the users says. This bulb will not attract mosquitoes as it is almost invisible to them due to the yellow light. So you kill two birds with one stone: this yellow LED bulb emits an amber glow providing enough light for your having a good time but, at the same time, it is not a lure for mosquitoes, unlike conventional bulbs. Whereas mosquitoes do not see the yellow light, humans perceive it well, moreover, illumination of this color creates a warm atmosphere on the site, whether you are at the party or just spending your leisure time. Designed as a long-lasting outdoor light, the product is intended to be exploited about 25,000 hours in case it is on three hour daily which is normally enough for the time spent outside the house in the evening. Apart from that, the manufacturer provides a three-year warranty. The bulb is energy-efficient as it uses just 5W while has an output equal to 40W. «If you were ever interested on just how the brand-new LED insect lights compared to fluorescent pest lights, here's a photo with among each. The LED is 5 watts with a life time of 22 years! The fluorescent bulb is a 24-watt as well as has a life expectancy of 1 year. In my tests, the LED draws in fewer pests. The bulbs are around $6/each. Before reading any type of further, try to think which one is the fluorescent and which is the LED? ... The fluorescent is the one on the right. The LED gets on the left. The fluorescent bulb in the image is the Sunlite SL24/Y 24 watt Energy Conserving CFL.». The product is very popular among users, with 4.3 out of 5 stars in customer reviews. It should be noted that out of more than 900 customer reviews, almost 750 are positive. However, opinions have divided over what kind of insects this yellow bulb keeps away. “Way brighter than the CFLs I had been using. Not enough time yet to say how they work against mosquitos, but so far so good,” a customer notes. Well, having read the product description provided by the seller, we should warn you that what is said there is not true. Scientists have never claimed that yellow light repels pests as it would mean causing the insects to react adversely to a certain kind of impact. Bug repellents force insects out of the spot while the yellow light just significantly reduces the visibility of the illuminated object. Yellow bulbs do not attract insects, but that is it. Apart from that, you may have paid attention to the fact that this product costs twice the price of any of the previous devices. Has the price been driven up or are there any grounds for spending so much on a bulb? Let’s have a look at the specification. This LED bulb has an output of 1200 Lumens like the bug zapper by GEEKERS. The latter needs such a brightness to attract insects but this product is intended for absolutely different purpose — not to attract insects. Therefore, this attribute should not be considered an advantage, unless you plan to use the bulb for illumination only and not as a part of pest control measures. The bulb rates 4.1 out of 5 stars but there are few customer reviews. Some users claim that they have noticed a decrease in the number of flying insects, others like the light itself. One disgruntled buyer complaints of the product failing after six hours of operation. Well this seems interesting. We got a country house and unfortunately during spring and summer days there is a lot of mosquitoes near our house. It makes nearly impossible to have an open-air BBQ party there... Looking forward to try this product, but I'm curious how many bulbs should I buy to cover the territory of the house and how many times per week can I clear the bulb from mosquitoes without affecting its quality. Thank you for your attention. I see.Then you should try an led bug zapper light bulb. I won’t list all of its benefits right away, you can find them in this article. I think it’s a great option for house. You know, I’d like to install an indoor bug zapper light bulb before mosquito season starts as I don’t want to chase them with a swatter or hang traps all around the house. They definitely are. What is your aim? Where are you going to use them? For example, I use them in a home depot. When I searched for it on Amazon, I simply typed in «bug zapper light bulb home depot»,and Amazon came up with an excellentoption for me. How do the bug zapper replacement bulbs work? Are they even worth buying? I bought a couple of bug zapper bulbs. In general I’m satisfied with the result, but it hasn’t met 100% of my expectations. Obviously, the bulbs kill the majority of bugs, but some manage to survive. This isn’ttoo bad until they annoy you with their nasty buzzing.